Most of us are scared most of the time. We are afraid of not being good enough, getting it wrong, losing everything. What confident people are skilled at is managing their fear. They accept that fear is a normal emotion and they know that they can handle it. Confidence is trust in your own ability, believing in your self. Confidence is challenging your doubts and questioning their validity. “I could never do that..” – act as if you can. This builds up the neural pathways that are needed for that action. You can do it. If you think you can, you can. 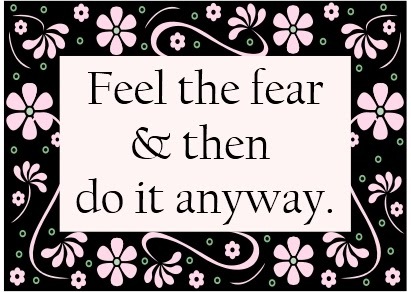 ‘Feel the fear and do it anyway’ Susan Jeffers.